Sometimes, Life may lead you to where you face unusual things. That may destroy the belief you have carried in your whole life from childhood. And it continuously haunts you till death. A few days ago, I just experienced such a thing that I still can’t believe. Sometimes, I think it was not real, and everything happened that day was an illusion or my hallucination. But, Some pieces of evidence say it was real, and I was the victim of a paranormal existence. Yes. I’m going to share my haunting experience with some birthday balloons. After spending my 3 days vacation, I just returned to Dhaka. From Mohakhali Bus stop, I requested Taxi through the uber app. However, After a long ride, I just reached my resident safely in the evening. When I unlocked the door and open it, I saw all these birthday balloons. Last 29th August was the 23rd birthday of my friend who lived with me in the same apartment. In fact, We only two guys lived in that apartment. At 29th August, some of our friends came to our apartment and celebrated my friend Shuvo’s birthday. We all enjoyed the moments. These were the Shuvo’s birthday balloons still on drawing room’s floor. However, I went to my bedroom, changed my clothes and went to bath. Then, Just took some rest. It already had been the night. So, I went outside to go to a restaurant for my dinner. Then, I went to the market to buy some dry foods and later returned to my apartment. I was alone. Because Shuvo was not there as he was enjoying his vacation with his family in his hometown. Suddenly, I looked at those balloons. I was absent-minded at that moment. But, I felt something unusual though everything was normal. There was no visible and noticeable changes. Still, I felt those balloons were not just balloons. Those were so alive that something just possessed them. I was not feeling good. Suddenly, My phone started vibrating. Oh! It was my mom. I had totally forgotten to inform her when I came to my apartment. It was the reason she called me. However, I talked with her for a few minutes. All of my fear just went away. Those balloons also went away from my mind. I was feeling so tired. So, I just went to sleep. At next morning, I waked up as my phone was ringing the alarm at 7 am. With my sleepy eyes, I went to the washroom. After being fresh, I planned to go to my kitchen to prepare my breakfast. When I just opened my bedroom’s door, I saw these balloons. But, These were not supposed to be near my bedroom. These should be in the drawing room. However, I thought maybe one or more ballons were blasted. As a result, Other balloons were moved by the force that was created during the blast. It was normal. I just took these balloons to the drawing room again as these blocked my path to the kitchen. Then, I went outside for my work. That day was awesome because I met a friend after many years and spent time with him. At the evening I returned to my apartment. I again noticed those ballons were near my bedroom. Within a moment, I became a bit angry and wanted to blast those ballons. I did not do it. Instead, I counted how many ballons there were and found the number was 13. I took them to my drawing room again. In that night, I did not experience anymore thing. However, At next morning, I again saw those balloons near the door of my bedroom. It seemed really funny to me. I was talking to myself “These balloons like me so much :p.” However, I counted them again and found 13. So, No balloons were blasted. In drawing-room, there should not be any wind that could bring those balloons near my bedroom. Because the window was closed. Suddenly, I took a plan to see how those moved near my bedroom. That night, I decided to be awake and monitor all activities. I was in my bedroom but leave bedroom’s door opened, and I was working on my PC. After a long time, I looked at the door and surprised to see those balloons. I was unlucky. Because I paid so much attention to my work that I could not notice when those balloons came again. But, I again felt something unusual in the apartment. Especially, Those balloons were so alive. For the first time, I became so much scared. I was too afraid to leave the bedroom. However, I did not sleep that night. When the sun was rising, and the darkness was going away, my fear disappeared and slept. I woke up at noon and remembered that last night I got frightened so much though I did not see anything that could make me scared. I was feeling like a stupid. However, My curiosity about those balloons reached very high. I set my mind to identify how those balloons moved every night. However, I did not go out in that day. From the evening, an unknown fear was growing in my mind. I felt the apartment wanted me not to stay anymore. But, I couldn’t ignore my curiosity. 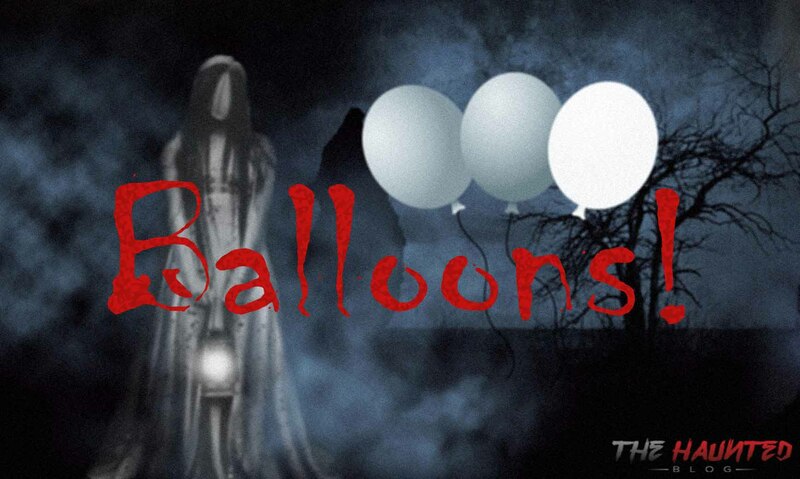 At night, After taking my dinner, I went to my drawing room and threw my curious glance towards those balloons. Nothing seemed abnormal. The environment was also very natural, and there was no fear in my mind. I left drawing room and sit before my PC. I was searching for weird facts about birthday balloons on the internet. However, I looked at the clock on my PC screen. It was 12.50 AM. I looked at the door and did not see those balloons. The weather was too much gloomy. According to the weather news, it had a possibility of rain at deep night. I heard the roar of clouds. In that time especially in August-September, the thunderstorm with rain became very ordinary in Dhaka. Probably, It was a result of climate change. However, I decided to close all windows of the apartment because of the upcoming thunderstorm. Suddenly, I was feeling there was someone in my house. I did not bother much about it because I was in a hurry to close all windows. I went to the drawing room and closed the window. But, After that, the real horror occurred. The thing that happened before my eyes changed all of my beliefs. For the first time, I saw what the real eerie thing is. I saw a little girl playing with those balloons. Yes, A little girl with a small white frock. I became terrified, and my heart was bitting alarmingly fast. I was saying “ke okhane?” Its English translation is “Who is there?” The girl was not responding. I was only seeing her from the back. Suddenly, The bloody load-shedding occurred. The true darkness came. But, Because of the thundering and flashing outside, I could see the girl looked at me. Though it was unclear, I could understand that her face was not like an average human. It was like a burnt face or a face of a rotten dead body. The roar of thunder outside and the paranormal existence with the fearsome face made the environment like the true hell in the earth. I noticed the darkness was surrounding my world though there was intense lighting in the sky. The ghostly girl was laughing at me with the bloody fearsome eyes. The last thing I can remember that I was trying to scream and call others for help. But, I could not do it. A robust invisible force was not letting me do it. At last, I lost my sense. At next noon, I woke up and felt a strong pain in my head. Because I fell down when lost my sense and got hit in my head. However, Suddenly I found the torn pieces of those balloons. All ballons were blasted last night. But, How it happened I did not see as I was senseless. Slowly, I was remembering what happened last night. At least, I became a bit happy because I was still alive. I thought that was the last moment of my life. Slowly, I stood up and was very weak but somehow managed to go to my sister’s house. I stayed there two days but did not say anything to my sister. After a few days, I left that apartment. But, Before that, I talked with the caretaker of that apartment building. He informed me that 3 years ago, A little girl was died here by fire accident on her birthday. Her parents were gravely injured but survived. But, The girl died before taking her to the hospital. As there was no eyewitness, people guess the source of the fire was gas balloon explosion. The horror I experienced in that apartment changed my thought about the supernatural power. Maybe, I was the first victim of the spirit of that girl. The reason was the birthday party and those balloons. I guess anyone who will live in that apartment will also experience similar horror things if there are any birthday balloons. Maybe, The spirit won’t let anyone live there if they celebrate any birthday. Probably, I was the beginning, and the haunting will continue forever. Maybe, One day, the apartment will be abandoned entirely and tagged as another haunted apartment in Dhaka city.